What is Accelerated Hydrogen Peroxide (AHP®)? AHP, because "Time is Money"
Our AHP®powered disinfectants have been specifically formulated for Nail Salon and Spa settings with You, Your Customers and the Environment in mind. Consumers are looking for more earth-friendly products and services, so why not promote GREEN in your business with sustainable disinfectant practices? ViroxProBeauty has innovated disinfection with a patented technology called "Accelerated Hydrogen Peroxide® (AHP®)" — powerful on germs but gentle on you. 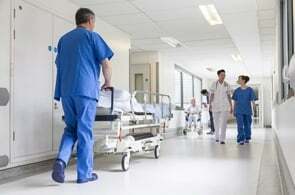 With the power of Accelerated Hydrogen Peroxide® (AHP®), PREempt disinfectants are safer, environmentally responsible and faster. They get you compliant with local bylaws and Provincial health regulations. 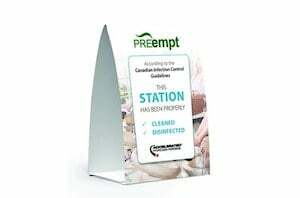 PREempt™ disinfectants are designed specifically for your facility and are easy to use. Check out and print our simple steps below for cleaning and disinfecting each area in your salon including Surfaces, Foot Baths and Tools. A Safety Data Sheet (SDS / MSDS) is a document required for all chemicals in your workplace that provides guidance on how to work safely with the product. These documents are a key part of your facilities health and safety program. 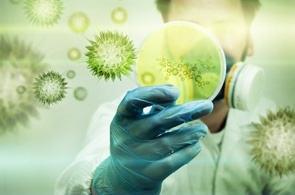 "Engineering Revolutionary Disinfectants for the War Against Microbes" — our mission statement. PREempt™ is the only line of disinfectants powered by Accelerated Hydrogen Peroxide® (AHP®) for professional beauty establishments. Formulated with YOU in mind. A Patented Accelerated Hydrogen Peroxide® (AHP®) formulation is what makes PREempt so different from other disinfectants. 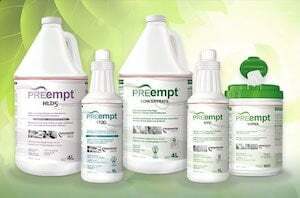 PREempt is gentle on you and contains no harsh chemicals, odours or fumes. Non-irritating to eyes and skin. 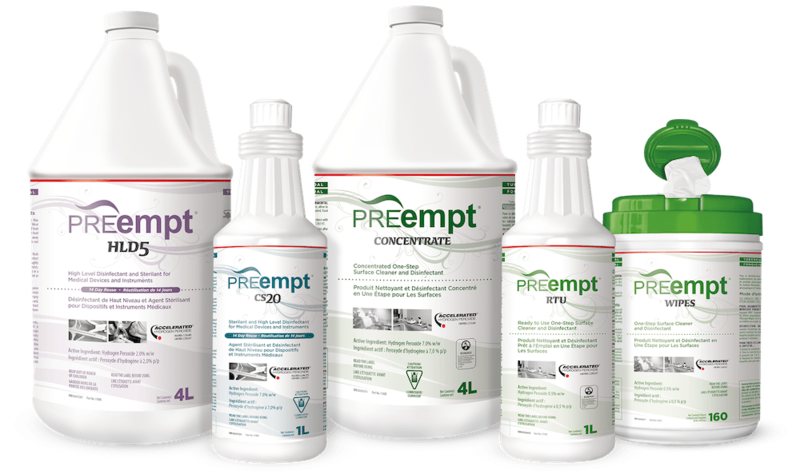 PREempt is a DIN registered, hospital level disinfectant that meets Health Regulations with an unrivaled safety profile. PREempt breaks down into water and oxygen making it convenient to dispose of and more gentle on the environment. PREempt's fast-acting performance ensures you’re killing germs quickly and effectively in your busy salon.